A Hawai‘i Island resident since 1975, Steve Hurwitz began his Hawai‘i real estate career in 1979. Since then, he’s closed more than $1 billion in real estate transactions along the Kona-Kohala Coast. He’s also been the Big Island’s No. 1 broker since 2000, exceeding the sales volume of every industry professional on Hawai‘i Island for close to two decades. A Broker-In-Chargel at Mauna Kea Realty – A Hawai‘i Life Company, Steve brings close to forty years of area knowledge and expertise to his role. With such a deep understanding of the market and the nuances of every resort community along the Kona-Kohala Coast, it is no wonder that he and partner Bob Chancer were able to increase market share and sales volume at Mauna Kea Resort in the few short years since they took the helm at Mauna Kea Realty. Their combined network of clients, combined with their strategic moves towards digital and online marketing helped to bring the company to a new level. 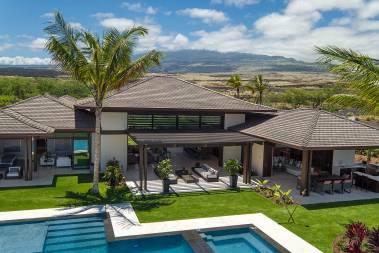 Recognizing the reach and exposure that digital platforms could provide, they joined forces with Hawai‘i Life, the state’s third largest brokerage and the statewide leader in luxury listings and sales. Today, Bob and Steve’s local market knowledge is enhanced by the unrivaled statewide network, global affiliations, brand recognition, and digital platforms of Hawai‘i Life.